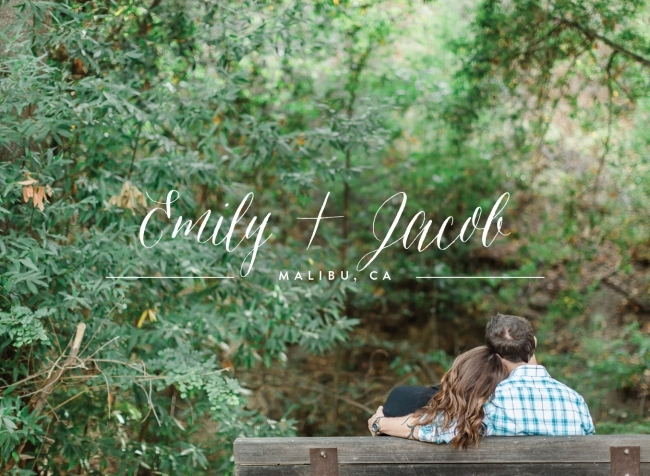 Let me start off by saying that Emily and Jacob are such a fun, sweet and easy-going couple! 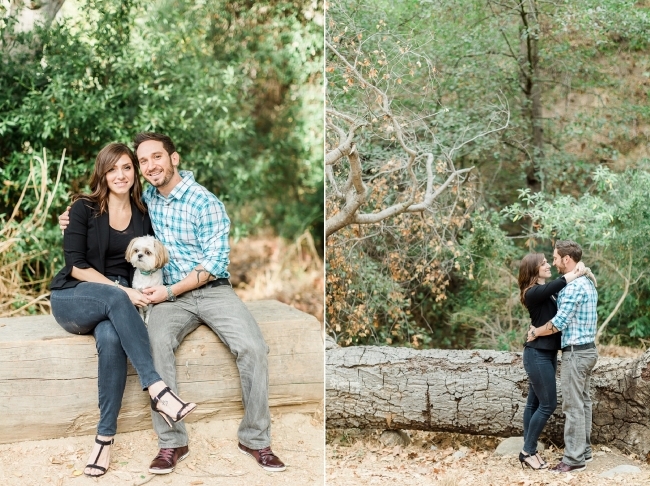 They met me at the beautiful and always serene Solstice Canyon in Malibu, CA for their engagement session. 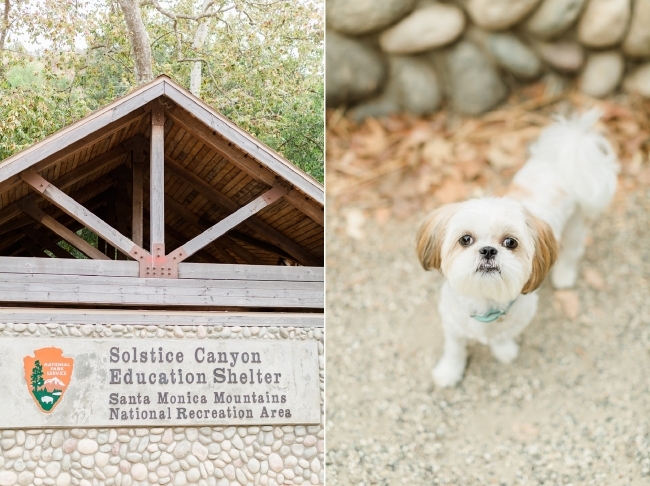 They also brought along their super cute shih tzu mix Sophie! I have a special place in my heart for shih tzus because my very own dog baby is a shih tzu too! Emily, Jacob and Sophie are so awesome, you can’t help but adore the three of them together. As we took a very slow hike through the park, I really loved talking to them both, hearing more about their wedding plans and getting more and more excited every second about shooting their wedding next year. I hope you enjoy just a few of my favorites from their shoot! Sophie is showing off some of her tricks!! I REALLY love this next one! LOVE! They look so good! I especially love the light in this next one! Doesn’t Emily just have the prettiest blue eyes!?! Congratulations Jacob and Emily!!! I can’t wait for your wedding next October!